At Place des Fêtes, take metro line 11 in the direction of Chatelet as far as Hôtel de Ville. At Hôtel de Ville, take metro line 1 in the direction of La Défense as far as Palais-Royal-Musée du Louvre. Get off at Palais-Royal-Musée du Louvre. Finding a car park in Paris near the Louvre museum is easier than even before. 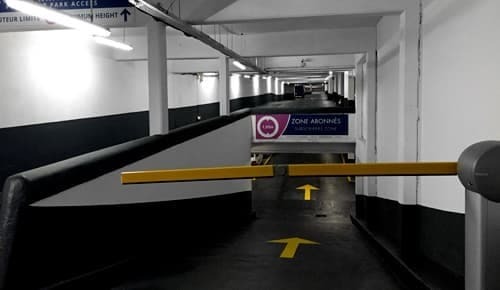 Located in north-east Paris, the Place des Fêtes car park, formerly Azur Autos, is in the 19th arrondissement of Paris. It can be accessed from Rue de Belleville, Place des Fêtes or the Boulevard Périphérique (Porte du Pré Saint Gervais or Porte des Lilas). The Louvre is often considered one of the world's most prestigious museums, and is one of the most popular attractions in France. That popularity means there is always a need to park in Paris near the Louvre. The museum owes its reputation to its vast collection of works from all four corners of the globe. This former royal palace is located in Paris' 1st arrondissement. In total, it covers an area of more than 2 million square feet, a third of which is exhibition space. With its attractive architectural features and famous works on public display, the museum attracts millions of tourists from every country each year. The glass pyramid in Cour Napoléon (75001), also known as the Louvre Pyramid, was designed in the 1980s by an American architect. Its construction was ordered by François Mitterrand, who was President of France at the time. The sheer number of visitors to the Louvre district makes it difficult and time-consuming to find a parking space. The surrounding streets, with their attractive buildings and elegant shops, are a haven for tourists. These are certainly not the ideal conditions in which to park. Drivers looking for added peace of mind can use a car park located just half an hour from the museum. 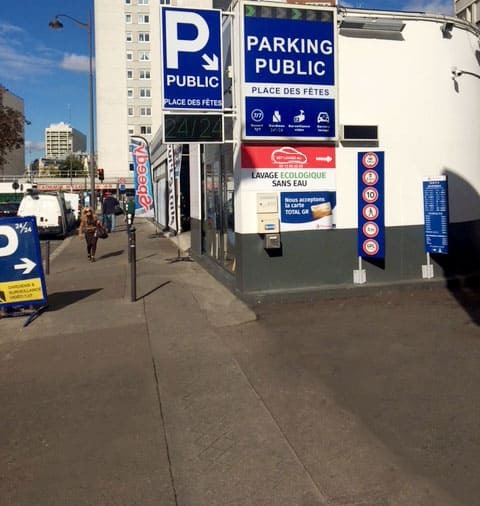 The Gambetta car park, at Porte des Lilas, is open 24 hours a day and offers highly attractive rates. To reach the museum, simply take metro line 11 towards Châtelet. Then, from Châtelet, take bus 21 (Rivoli-Pont Neuf stop, towards Gare Saint-Lazare) to Louvre-Rivoli. Paris France Parking offers safe, secure parking spaces at its car park close to Musée du Louvre. 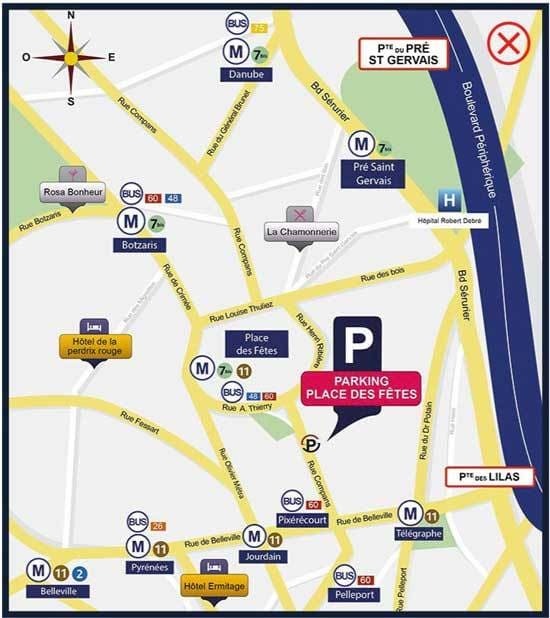 Are you looking for a parking space close to a major location: parking Gare de Lyon , parking Opéra or a parking space in the heart of central Paris? Book online for free and get the best rates. 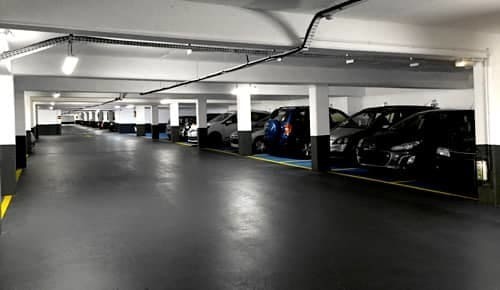 Find out more about Paris France Parking's services.